Shrishrijee Import Export Pvt. Ltd. was incepted in the year 2007 in Ahmedabad, Gujrat as an import export solution provider with the aim of offering the most effective and reliable export import services across the globe. We have established world-wide long term business relationships with our reliable partners. 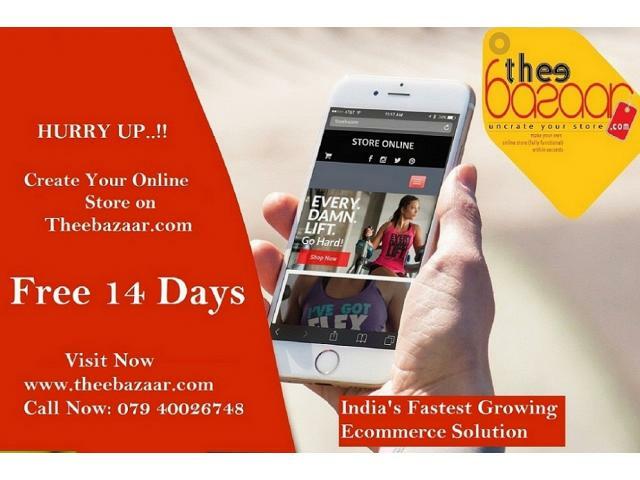 At Theebazaar.com, We care for the clients as our own. We understand the limitations of an individual and the technical skills required to maintain an online store. Hence, we have designed the software in such a way that anyone can use it and can make the most of it. Not everyone has computers or laptops but smartphones are everywhere. Create a beautiful online store in minutes. We are the industry’s best solution for building custom eCommerce store and the only one that offers affordable price to the customer. We offer 14 days free trail.